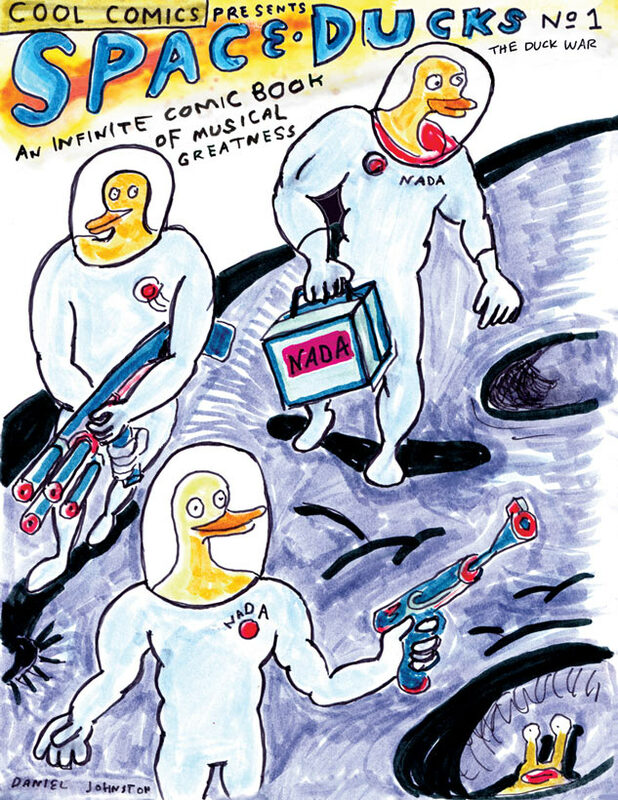 "Space Ducks - An Inifinite Comic Book Of Musical Greatness"
PRE-ORDERS BEING ACCEPTED NOW - they will ship beginning March 13, 2012 as quanitities are available. ORDER NOW to assure you get one of the first shipments. Daniel Johnston's first ever PUBLISHED comic book, 102 pages in 9 x 12 inch hardbound. BOOM! Publishing. The comic book is now IN STOCK and available to ship IMMEDIATELY.